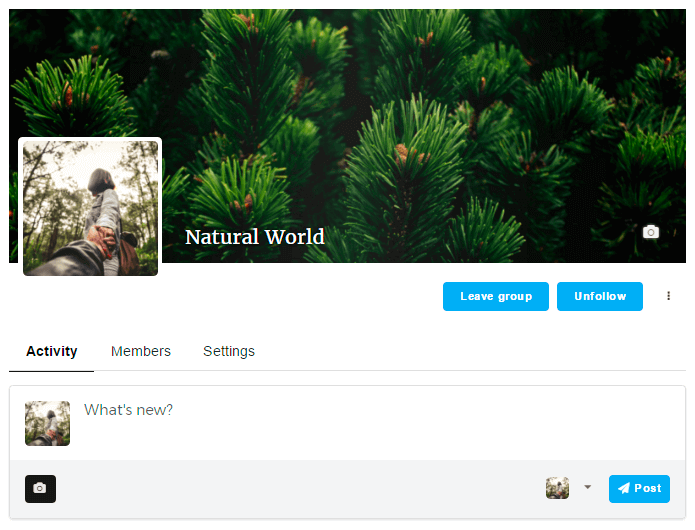 WordPress Membership by Supsystic includes such amazing feature as Groups! Great opportunity to create your own mini blog and find friends with the same interests. After activating Membership plugin on your site automatically will be created Groups page, on which users will have the ability to create their own groups or find another interesting communities. On this page will be displayed the list of all groups on your site. Add this page to your website menu. 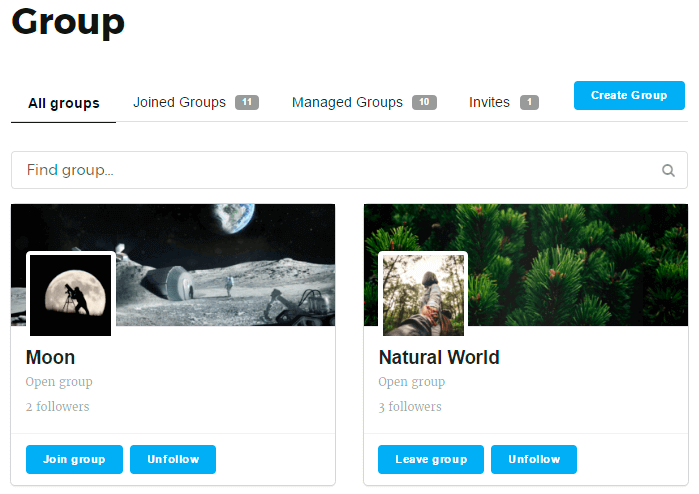 Also on each User Profile page will be Groups section where will be shown only those groups to which users will subscribe. Specify the Group Logo Size and Logo Thumbnails Sizes. Set the Default Logo Image. Choose the Default Cover Image. Specify the Group Cover Size and Cover Thumbnail Sizes. Select who can invite to the group. Select who can be invited to the group. Group page includes such sections – Activity, Members and Settings. Let’s check each tab in more details. Create posts with images and videos. Comment, like and share group posts. 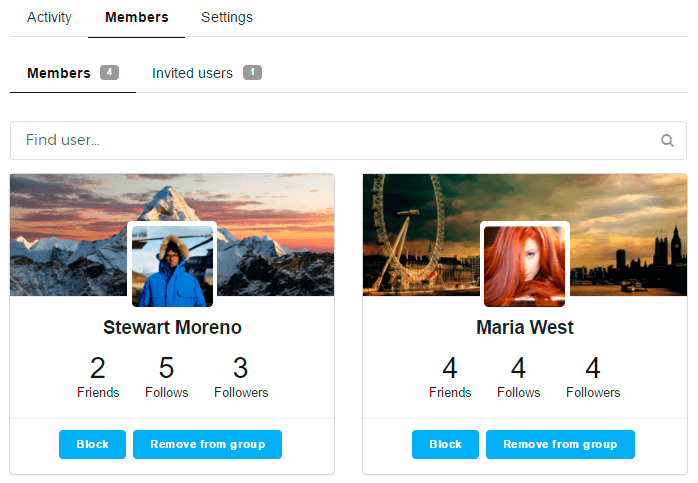 Monitor your members, followers and invited users. Block, remove from the group or cancel the invitation of users. 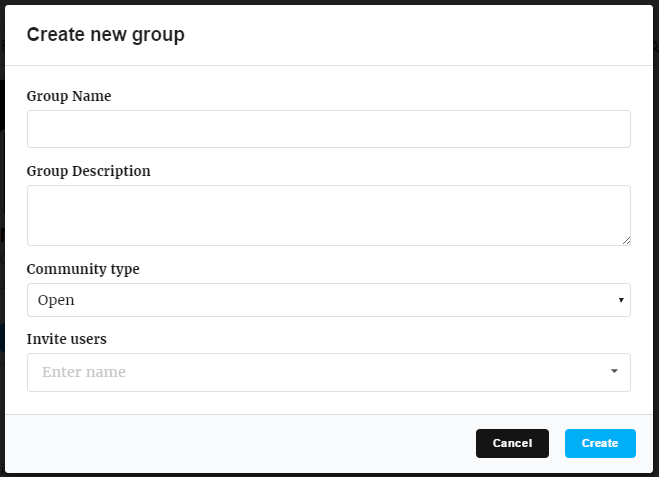 In Main section you can change the name and description of the group, delete the group. 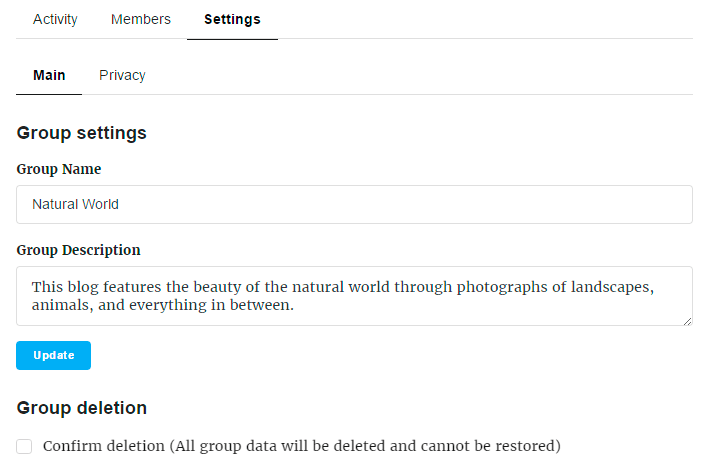 With Privacy section you have ability to change community type and specify the limitations on different actions with your group page for different users. Community type – open, closed and private. Activity viewing – who can view Activity of the group – all users or only group members. Activity post writing – who can write posts – all users, group members or only administartor of the group. 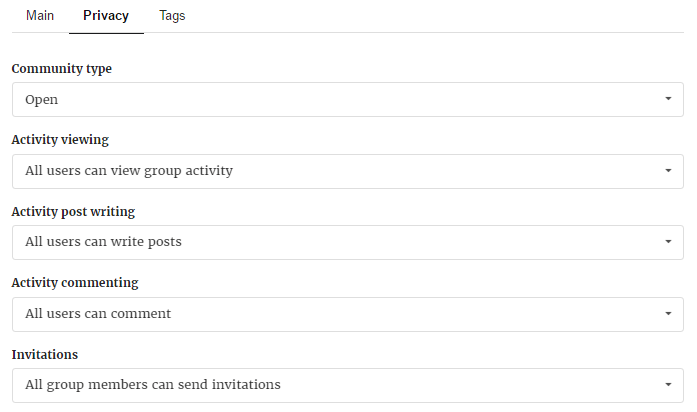 Activity commenting – who can comment the posts – all users, group members or only administartor of the group. Invitations – who can send invitations to the group – group members or only administartor of the group. Invite friends to the group. Invite users to be administrator of the group. Leave and ufollowed your group.